Cody might be on the small(ish) size, but what it lacks in size it certainly makes up for in its raucous, Wild West charm. If you’ve booked a saddle seat on The Big Horn Cattle Drive or our horse riding holiday in Shell, Wyoming, you will most likely be flying in and out of Cody, Wyoming. So while you’re there, take some time and look around this cowboy town that revels in its Wild West image (the town is named after its founder and legendary showman William ‘Buffalo Bill’ Cody). Cody truly is the ‘Wild West way into Yellowstone’, located just over 50 miles (80km) from the east entrance to the famous Yellowstone National Park. It certainly puts on quite the Ol’ West show for the throngs of visitors making their way through to Yellowstone every summer, with attractions including nightly rodeos, gun-fight re-enactments, cowboy music and the world-class Buffalo Bill Centre of the West, so make sure you soak up the atmosphere and dive head first into the Western traditions during your visit! Shoot-outs, rodeos and ghost towns…what’s not to love? 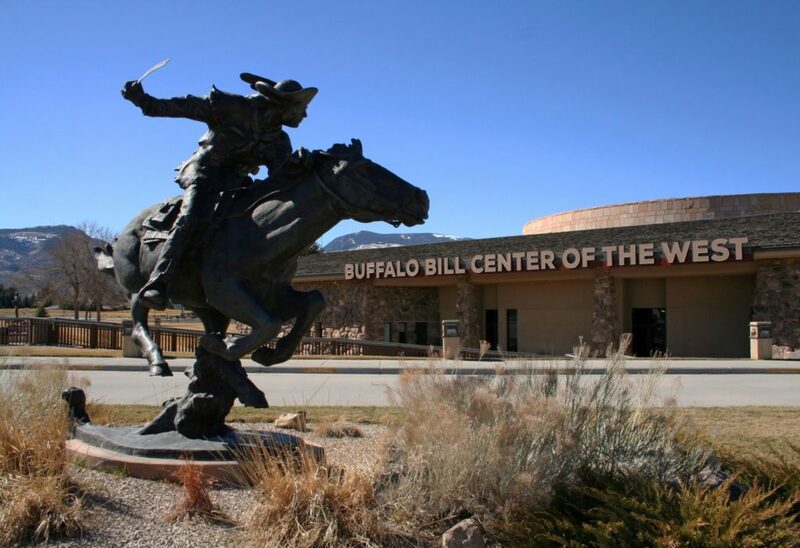 A trip to Cody wouldn’t be complete without a visit to the Buffalo Bill Centre of the West, which honours its namesake, Buffalo Bill Cody, the town’s founder. 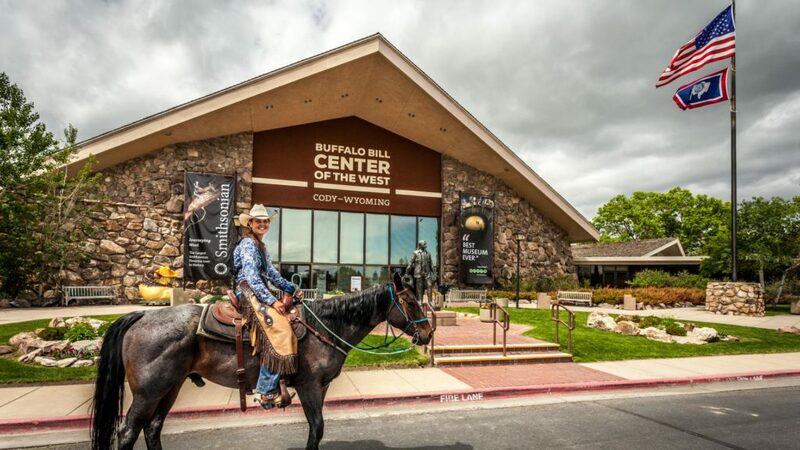 Housing five fascinating museums in one – Whitney Gallery of Western Art, Plains Indian Museum, Buffalo Bill Museum, Cody Firearms Museum and Draper Museum of Natural History – it’s practically Cody’s own national treasure. You can lose hours wandering through the collections (fun fact – it houses the largest Native American collection outside of the Smithsonian), and for the admission price of $20 USD we saw YEE HA! Since 1938, the Cody Nite Rodeo (don’t ask me why ‘Nite’ is spelt that way) has provided two hours of wild, western, family friendly action each night during the summer, and if you’ve ever wanted to experience a rodeo in the US (trust me, they are NOTHING like the ones we have in Australia), NOW’s your chance! 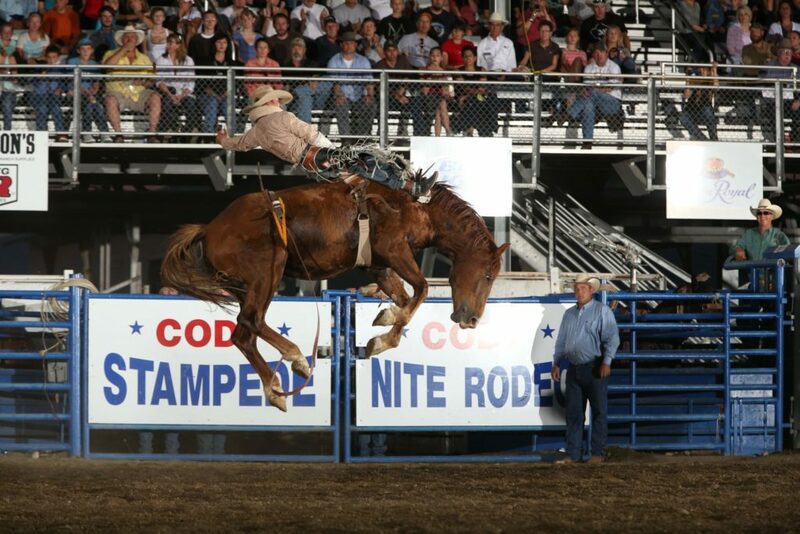 Every night at 8.00pm from June 1st through to August 31st, the Cody Nite Rodeo will entertain you for two hours with cowboys, bullfighters, clowns, and other nightly performances. It’s a bit of a hoot so expect to have some fun with this crazy-cat Western entertainment. 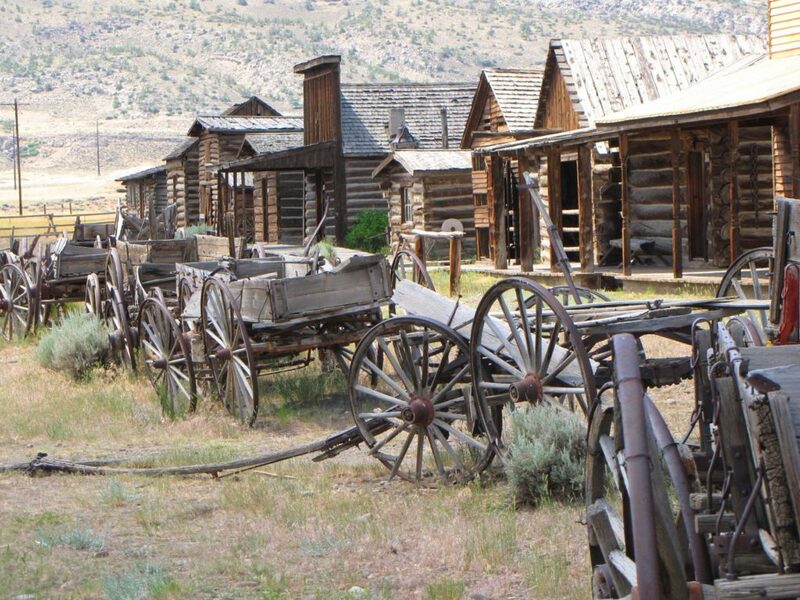 Step back in time to the Old West of the 1890s as you wander through the Old Trail Town. Set up to look like an Old West town and located on the original site of Cody City, Old Trail Town features 26 authentic old west structures furnished with artifacts and antiques of the day. Although not curated as well as the Centre of the West, it is nonetheless full of interesting and important pieces from the area and is well worth a visit. If your time (and budget) allows it, you simply cannot go past a day trip to Yellowstone National Park. In fact, you could spend many days in this vast landscape, soaking up the awe-inspiring beauty and revelling in the wilderness. The world’s first national park contains more than two million acres of steaming geysers (this is where you can witness the punctual eruptions of the famous Old Faithful Geyser), crystalline lakes, thundering waterfalls, panoramic vistas and a remarkable diversity of animals. The best way to experience Yellowstone’s natural wonders is to completely immerse yourself in this spectacular setting – hike some of the 1,100 miles of trails or get a little wet during a fly fishing excursion. The world of Yellowstone National Park is your oyster! 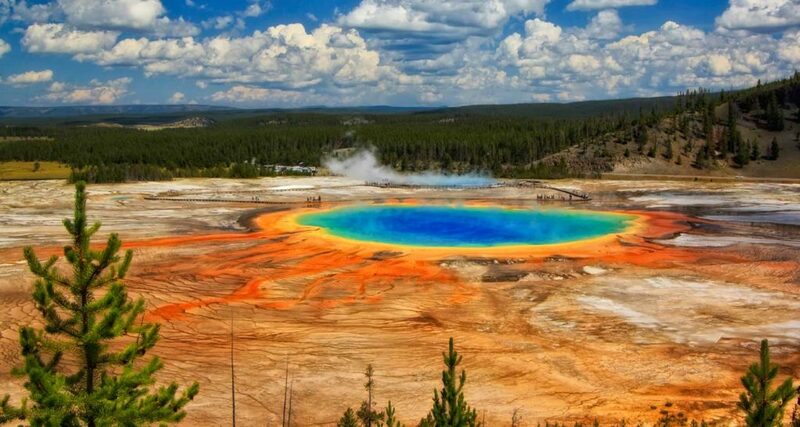 Click here to view a really extensive guide to Yellowstone with further information. 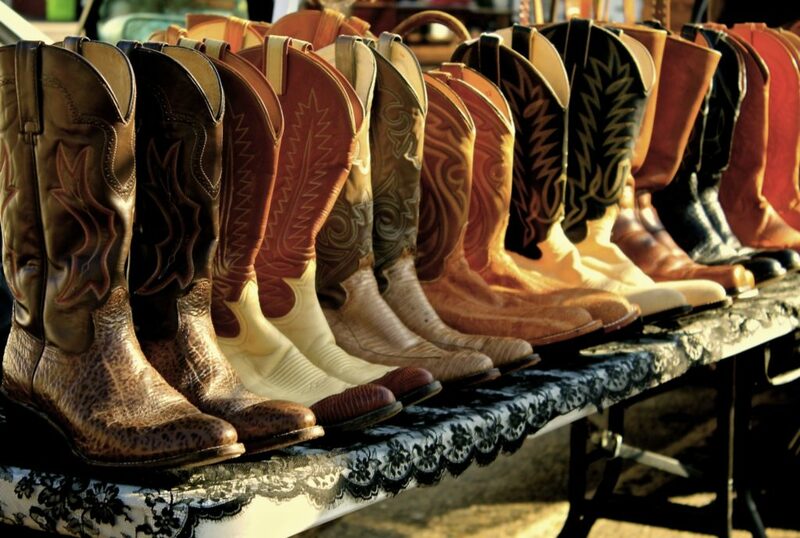 Now if you fancy a bit of Western shopping before you head out to the ranch, you can’t go past our two favourite Western shops – Wayne’s Boot Shop and Custom Cowboy. Stock up on a large selection of shirts, hats, boots and other Western apparel and souvenirs so you can rock up to your riding holiday the picture of a true cowboy or cowgirl. There is also Rockstar Cowgirl which has a huge selection of eclectic handmade jewellery and a display of handmade museum quality boots. Even though you may not need $15,000 cowboy boots, it’s fun to see them and dream. If you’re keen to eat your share of good ol’ Western tucker, there are two decent steakhouses in town. The first one is The Proud Cut Saloon. Try not to gasp when you walk into the very Western premises and notice all the animal heads mounted on the walls surrounded by lots of cowboy memorabilia. But the burgers and steaks are to die for! 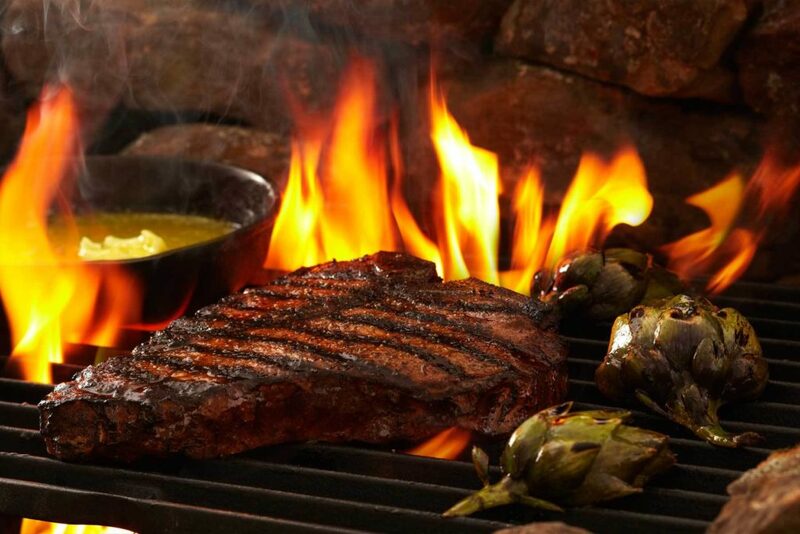 The other steakhouse worth mentioning is Wyoming’s Rib and Chop House. Their food is a little more refined with nice sides and a huge selection of beer and wine. Get a nice piece of fish or try some bison while you’re there. There is also the historic Irma Hotel which was built by Buffalo Bill and named after his daughter. The food is standard Western fare, but this place gets a mention here because it’s interesting to pop in and see the original bar which was gifted to Bill Cody by Queen Victoria. There’s also a lovely little boutique at the back of the hotel that’s worth a squiz. With a huge buffet breakfast on offer on a Sunday, that’s the time to check this place out! So there you have it globetrotters – roll up your sleeves, dive into a Western adventure, and experience everything this town and surrounding area has to offer…without the penny pinching!